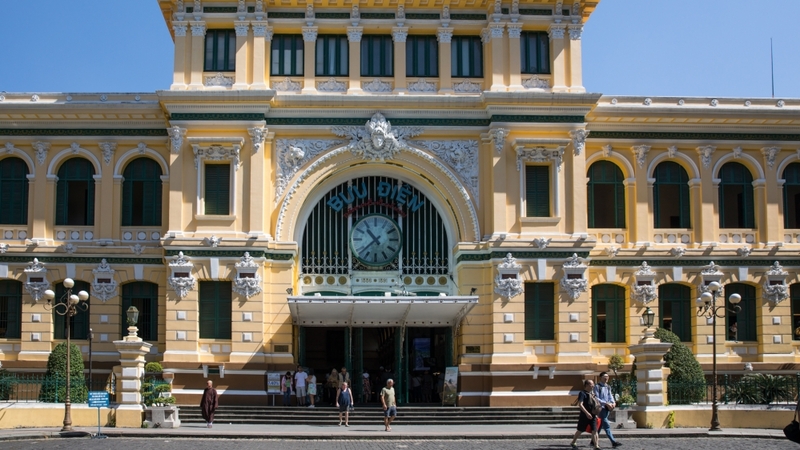 Ho Chi Minh City, Vietnam – As Ho Chi Minh City’s French colonial architecture recedes into the background and the number of shiny skyscrapers grows in the Southeast Asian megacity there is one man who might be the last vestige of Vietnam’s colonial past. 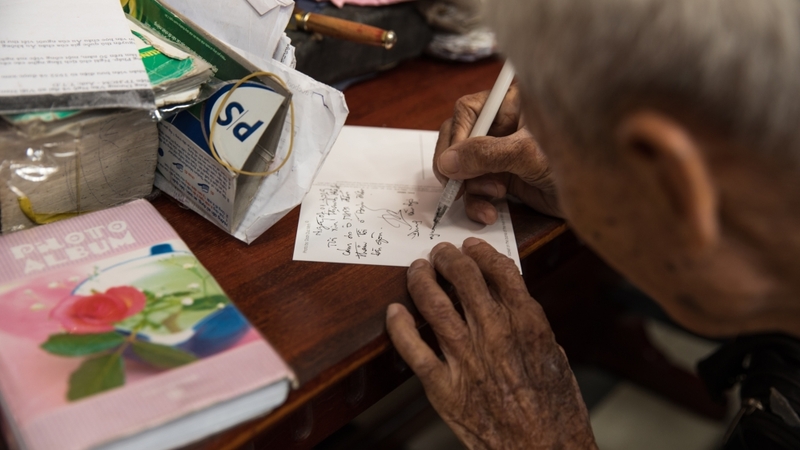 Duong Van Ngo is the only remaining public writer and still pens letters from the grand 19th century Saigon Central Post Office in this city of 13 million people, built when Vietnam was still a part of French Indochina. Saigon was the capital of South Vietnam before the war but the named changed to Ho Chi Minh City after North Vietnam overtook the city in 1975. Many Vietnamese, especially in the south and foreigners still refer to the city as Saigon. Duong Van Ngo held various jobs at the post office before becoming a letter writer. “I began to work for the post office when I was only 16, in 1946,” the 89-year-old told Al Jazeera. 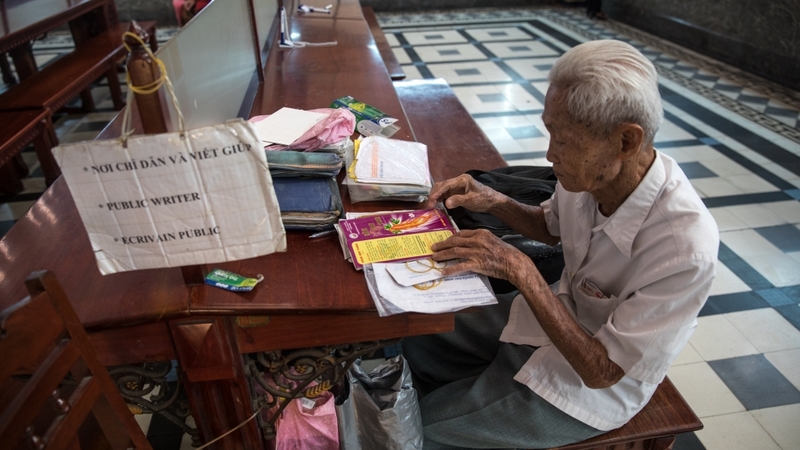 Every morning, he tapes a piece of paper with the words “Public Writer” in French, Vietnamese and English on a panel near his wooden table, completing his makeshift office at the Saigon Central Post Office. 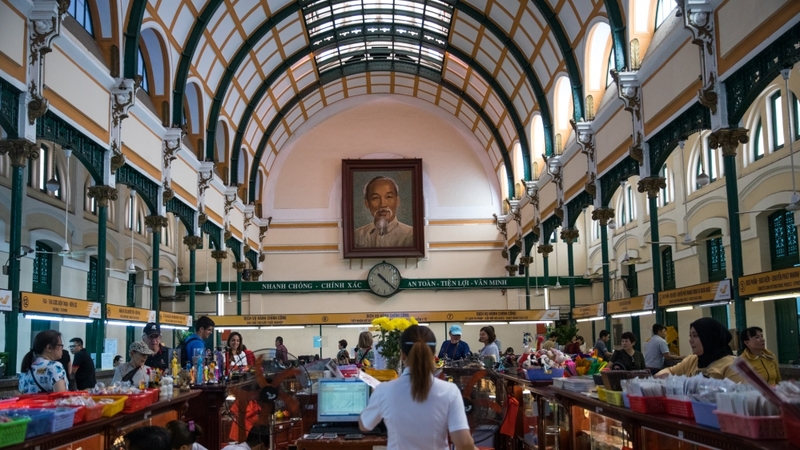 A large painting of Ho Chi Minh hangs on a nearby wall. Ngo has written letters for hundreds of people in Vietnamese, English and French in the past 28 years. There were three other public writers when he joined, but they have since all passed away. He learned French when he was seven years old, which was normal growing up under French colonial rule. English came later, when he was 36 and taught by American instructors. As he approaches 90, he still travels to work every day on his bicycle. But he realises that his profession as a translator and letter writer is becoming redundant given the internet. At 8am every morning, he unpacks his black leather bag, placing a magnifying glass and weathered copies of English-Vietnamese dictionaries on his table. Inside the dictionaries, he has scribbled notes marking his own expressions and meanings next to the words. He also sells postcards to visitors who want him to write something on the spot for 5,000 dong (around 22 cents). He doesn’t charge for his writing, though most customers give him a generous tip. Most of his visitors are tourists. But a few people who have known him for 40 years still come to see him at work, such as 60-year-old Mai Dang Guesdon. “Chao Chu,” she says, the polite way to address an older man in Vietnamese that is akin to “uncle”. Guesdon was on holiday from France, where she has made her home. She used Ngo’s services in the 1990s to write love letters to her French boyfriend, who she had met in Vietnam while working as a tour guide . She didn’t speak any French and relied on Ngo to communicate with her now-husband. She still keeps the letters written at her home in France. During the day, curious tourists come to chat to Ngo. Some ask him to write letters or postcards for friends and family back in their home countries. Chi Pham, 32, is a tour guide and brings visitors to meet Ngo. “Every time I take people to the post office, I always try to find him. He’s 89 years old already, and I don’t know how many more times we can see him,” she said. Under Vietnam’s economic and political reforms under Doi Moi in the mid-1980s, Ho Chi Minh City went through a major facelift as foreign investment poured into the city.